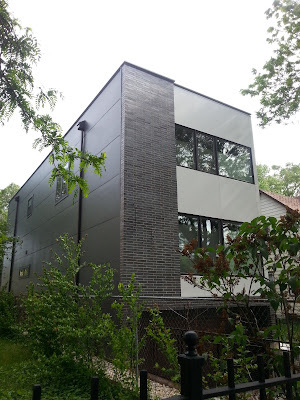 This modern adaptation in "west" Andersonville, Edgewater has been of interest to folks around the city for some time. 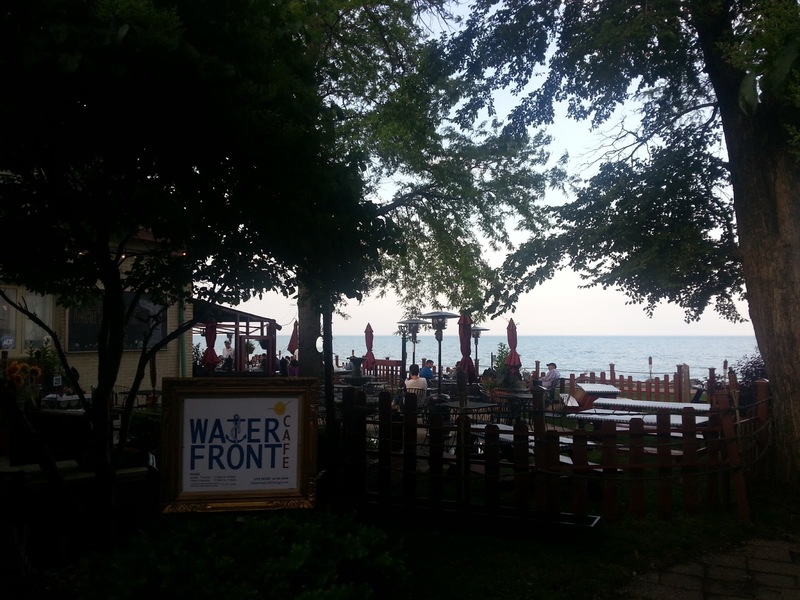 I recently passed by on a run home from the lakefront. It's been a year since I saw the house. This is the first time I've been by with the fence totally up and with the house (I think) inhabited. 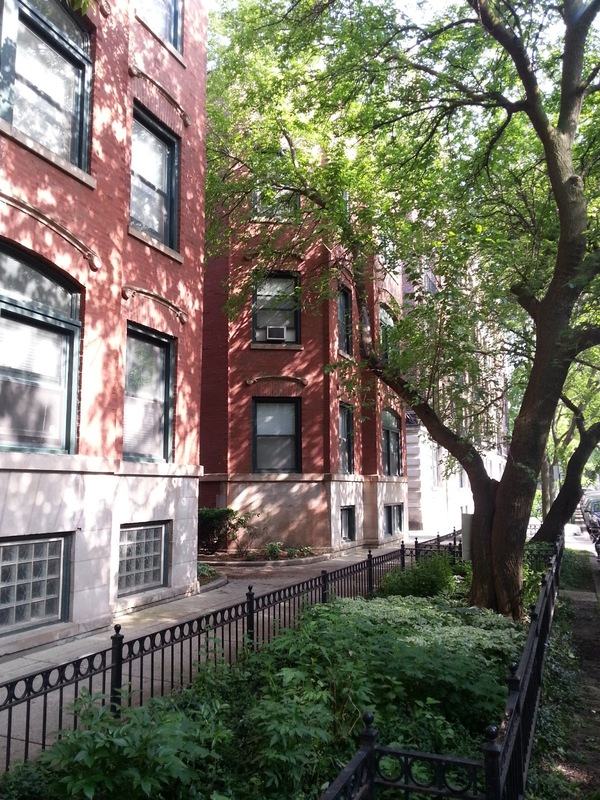 We love to stop and admire both vintage and new well manicured properties around Lincoln Park. 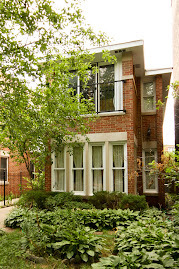 This classic home is located at 1958 N Sheffield at West Armitage... Oh là là location! 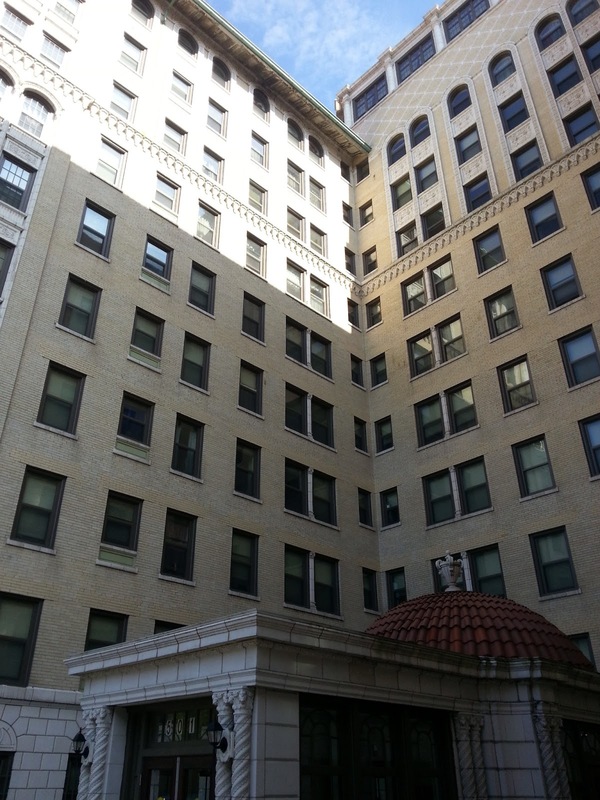 We recently showed this South Loop building to clients (on South Wabash). The South Loop has been really hot the last 12 months with the general market and condo building situations stabilizing. Inventory for larger units in the $400s is low. The location offers fantastic access to downtown careers, world class entertainment and highways for those driving out of the city (for work or travel). To get those conveniences on a budget... sometimes you have to put up with some stuff. 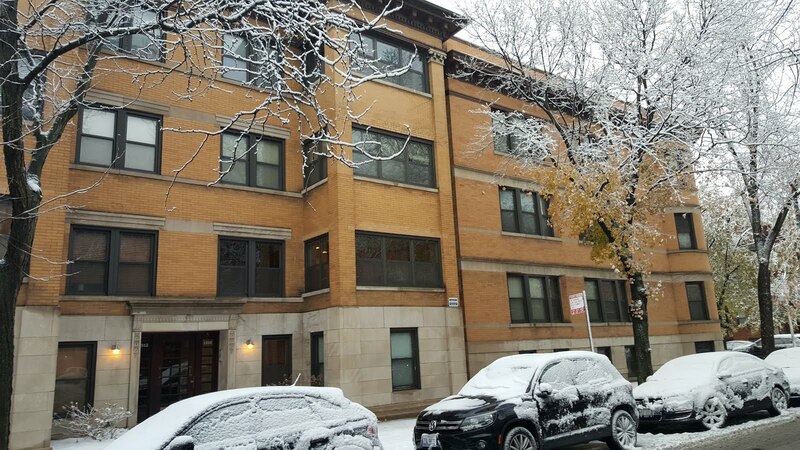 Our clients closed last week on their top floor three bedrooms condo at 2850 N Burling in southeastern Lakeview for $695,000. The purchase was a multiple offer negotiation. The 2800 block of Burling in East Lakeview features rare, over-sized simplex units. 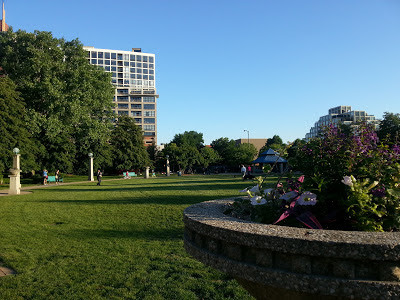 The quiet location is just a half-block from Diversey Parkway action and a few blocks to the prettiest lakefront parks (photo Robert DePalma). 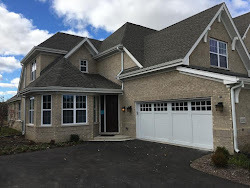 The well finished home featured front and back terraces, a true great room and ATTACHED garage parking. Ridiculous location! Congrats to some great people living the life! 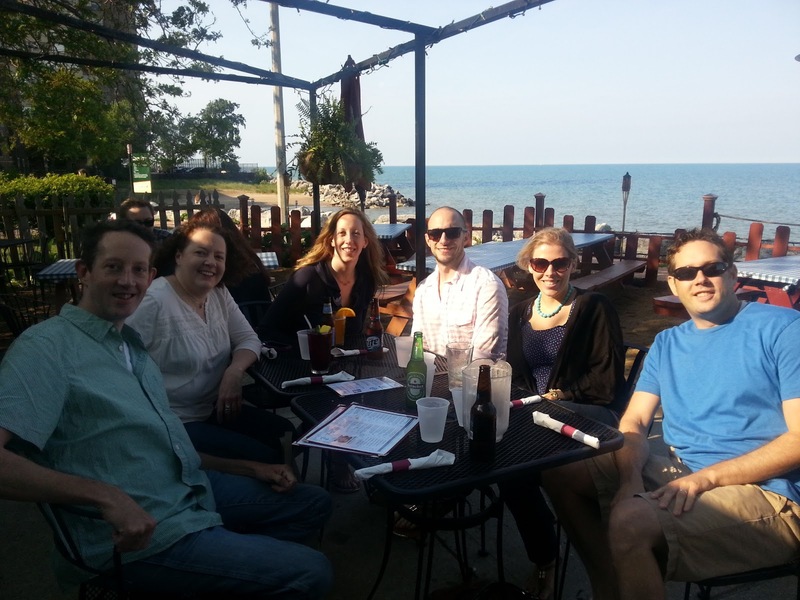 Call us for your next Lakeview home. 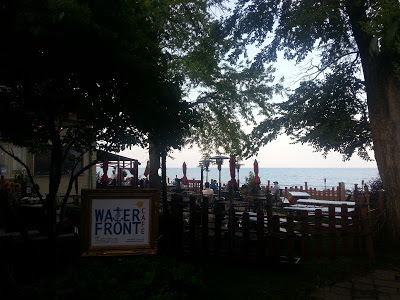 Beach, food, play-lot and Shakespeare at Waterfront Cafe, Edgewater! 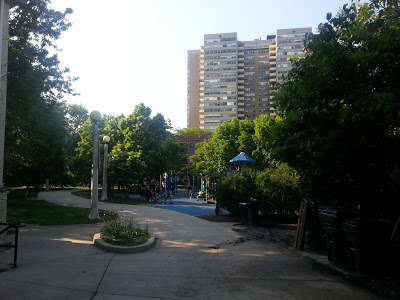 The perfect Chicago park? 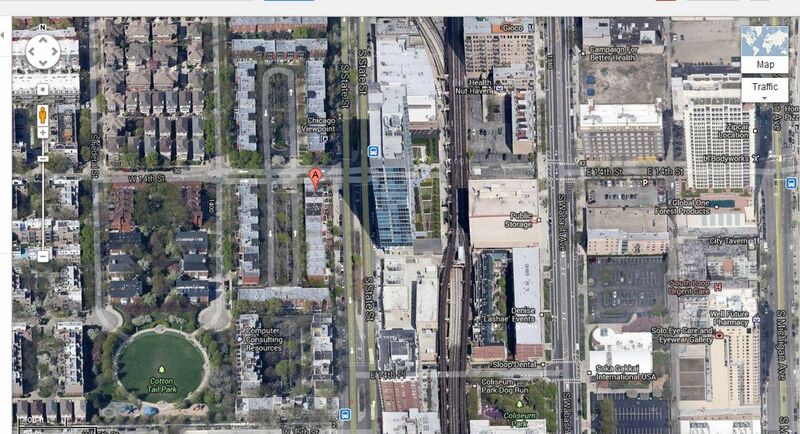 Berger Park and Waterfront Cafe 6219 N Sheridan Road are somewhat hidden and impossible to park at. The busy traffic on Sheridan may deter the uninitiated. But this cafe and park setting is great for all ages! An updated play-lot is tucked in between tall trees and the beachfront. This feels like a Michigan vacation in the city! The perfect summer meeting place for Edgewater friends...we had good food and some (pricey) beers. Cheers! You may even run into Shakespeare toughs! You can rent one of the vintage buildings on the park grounds for special events as well. 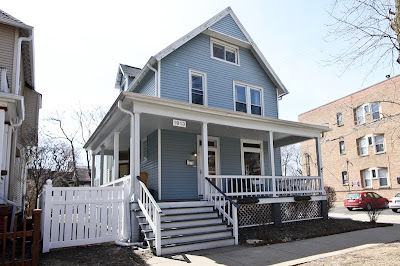 We were excited to work with our clients in the purchase of a "move-up" dream house at 1920 W Eddy in the Roscoe Village neighborhood of North Center. 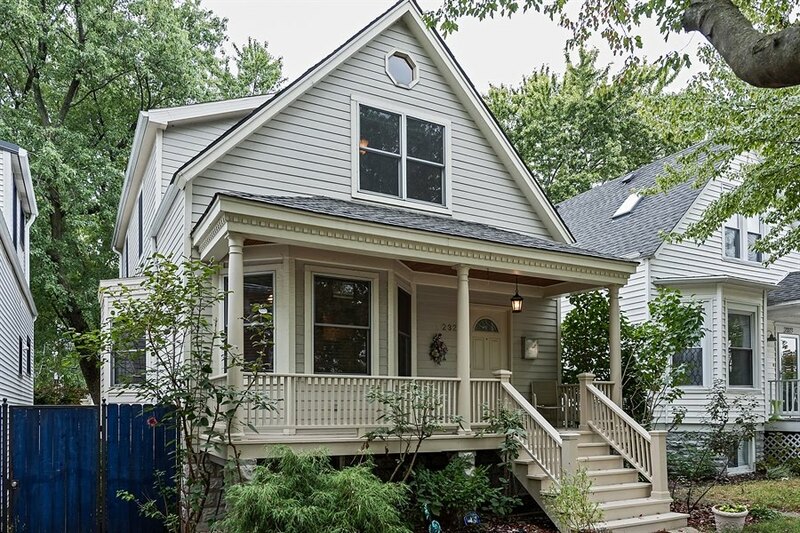 The house closed last week for $1,440,000 (a little under asking price). 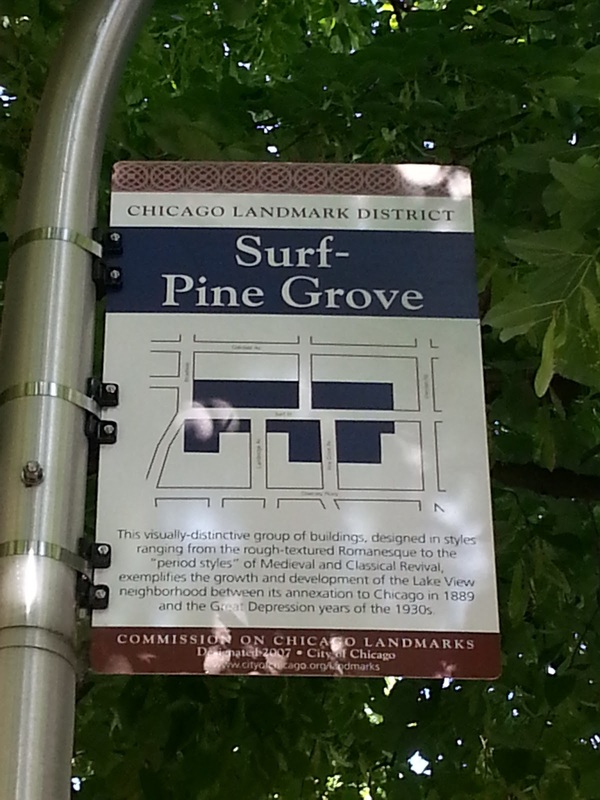 The single family home market is very competitive in North Center, Lincoln Square, Lakeview and Lincoln Park. Inventory for new construction (and quality $1 million dollar houses in general) is low. They decided to buy new construction after viewing several re-sale and new houses to compare. 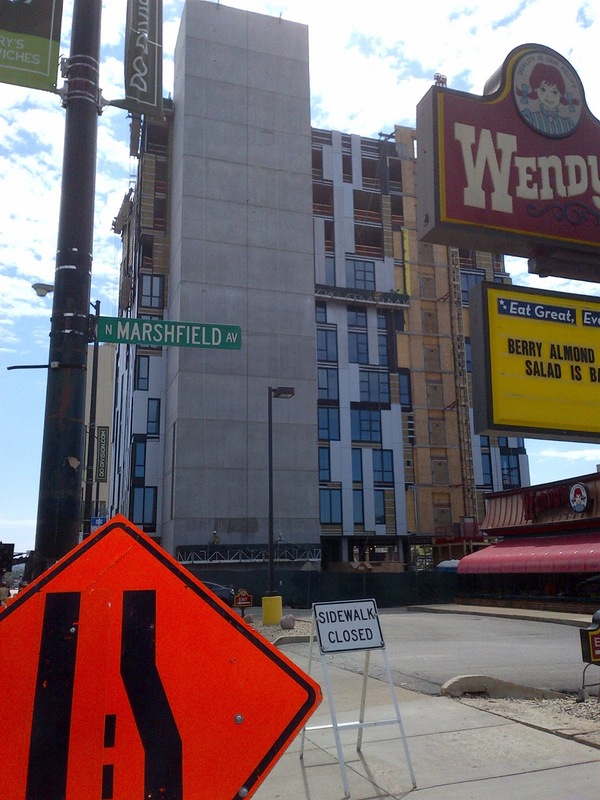 The offer on Eddy was made and accepted in pre-construction stage when barely the foundation was poured. Buying pre-construction was about the only chance they had to secure a wide lot home in the budget. 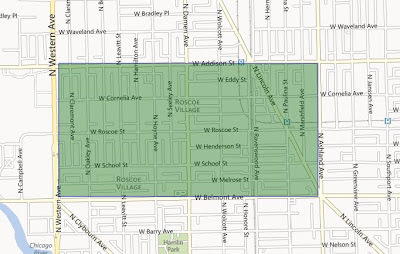 Roscoe Village is one of the most desirable places to buy a single family home on the North Side. Median houses prices are over $900,000 this year. 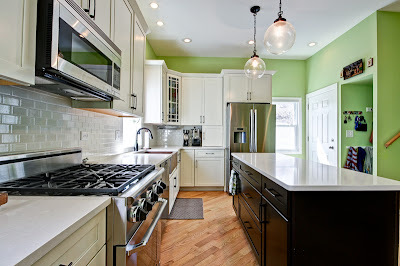 Our clients were able to choose several finishing details such as counter tops, paint, light fixtures and some flooring. The process was stressful at times for our clients working on a tight time-line for new construction. 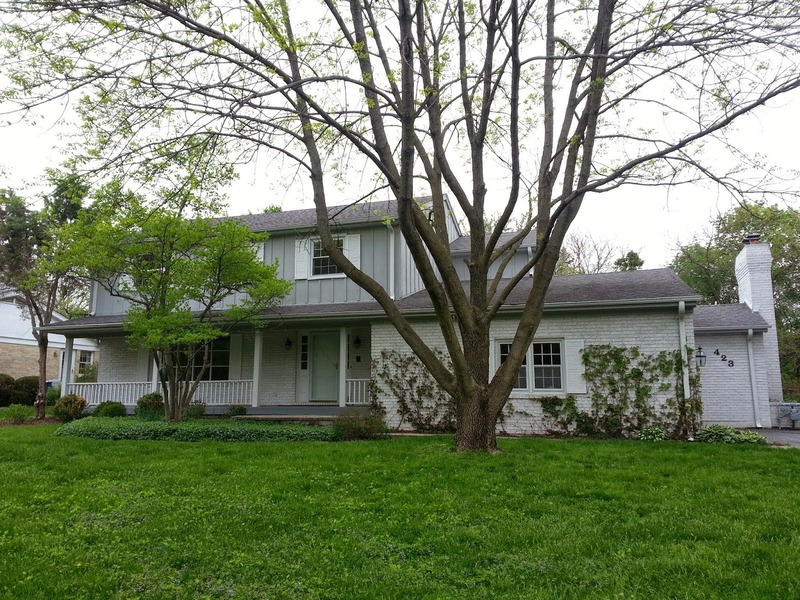 However, the luxury six bedrooms wide-lot house was delivered in impeccable shape. The kitchen and master bath are truly fantastic! 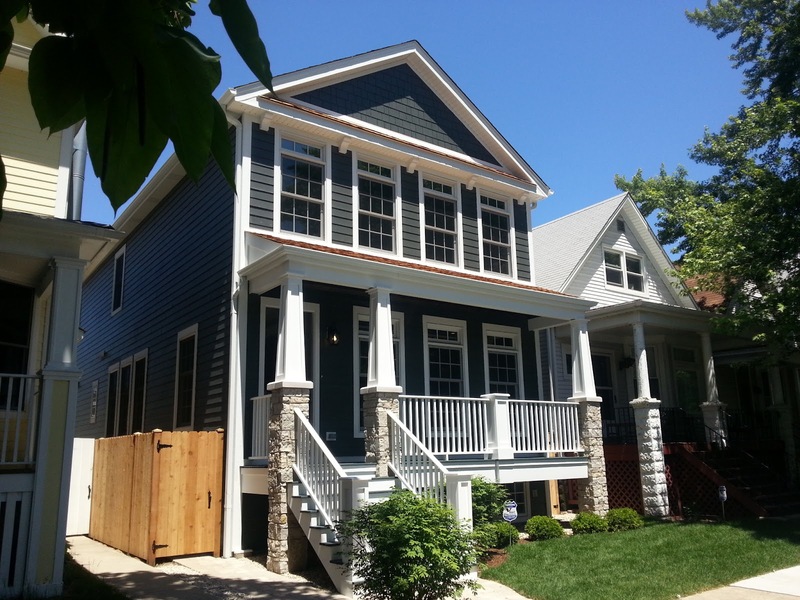 We thank and congratulate our clients on a beautiful home in the great Roscoe Village community! 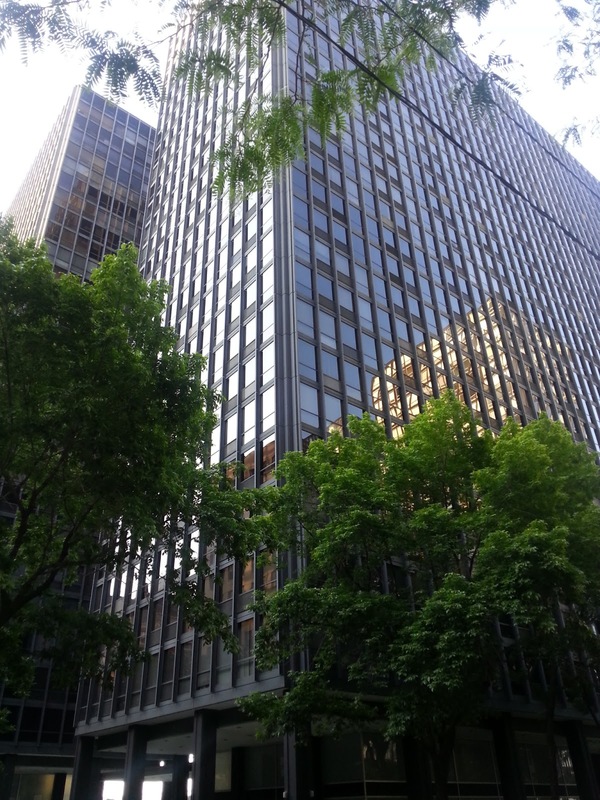 Bob hits this glamorous lunch spot at Exelon Plaza between a couple home sale closings last week. Finding a good outdoor perch is a favorite sport among downtown office workers in the summer time. Gene Bobrov of Accu-Spection International gives our buyer client tips for their new luxury house. 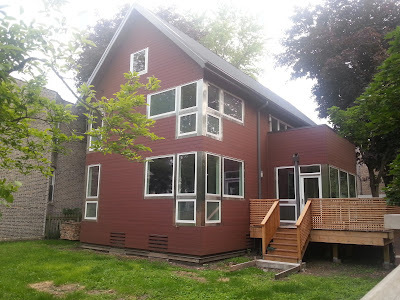 We've worked with several clients buying new construction or gut-renovated single family homes this past year. All home purchase contracts are different and not all contain a home inspection contingency. 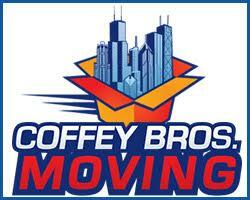 In Chicago there are common practices, customs and protections that should be worked into your home purchase contract. This goes for new construction as well. 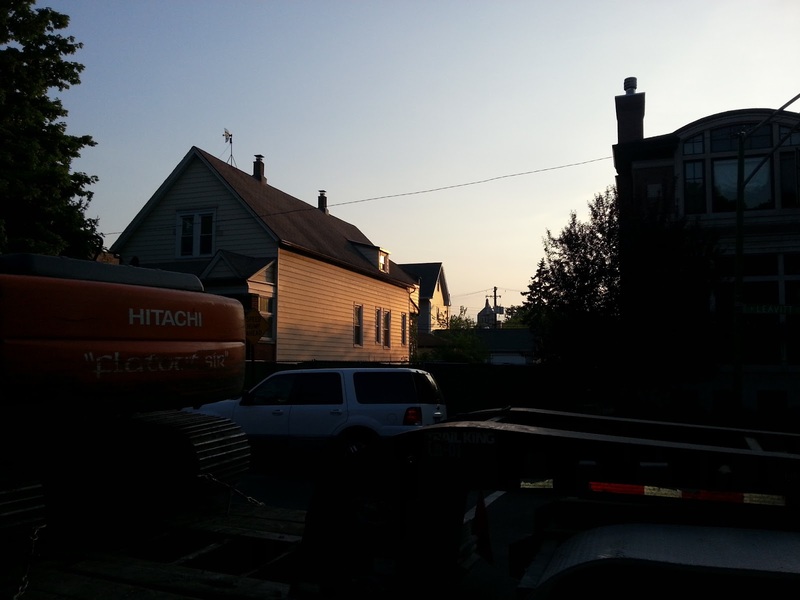 Home inspections work a little differently for new construction or gut-renovated houses. If you purchase a home "pre-construction" or early into construction process you cannot have a thorough home inspection until the house is complete. This is at the end of the process near closing. On a re-sale home, the inspection is completed immediately after an offer is accepted and during the attorney approval period. Your purchase contract should have a provision describing when the home inspection will occur. It should be agreed that the inspection results will act as a "punch-list". The developer should agree to fix the punch-list items. Your real estate attorney is critical in making sure these provisions are included in the purchase contract. 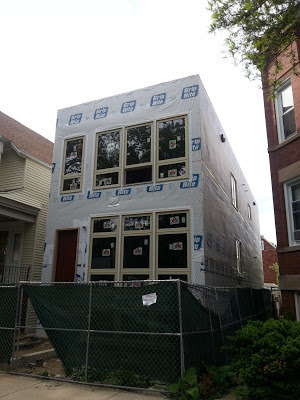 In today's Chicago market, most developers out there building new houses have a good reputation after weathering the 2009-2010 lean construction years. However, there are still some inexperienced developers and shoddy work out there... especially on gut rehabs. Your real estate broker and any expert advisers familiar with new construction can help you determine if you're working with quality people and craftsmanship. We just completed a new staircase for our Chicago bungalow (forever in renovations). 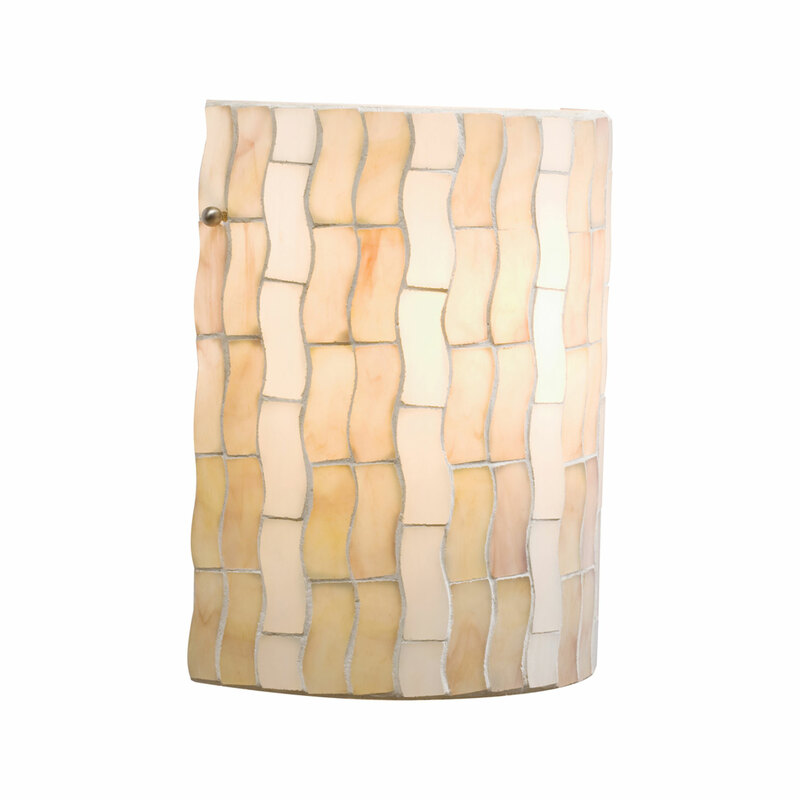 We need a couple moderately priced wall sconces for large wall space running up to the second floor. What do you think of this one? It's glass, about 11" tall, $119.00 bucks at Horton's online. 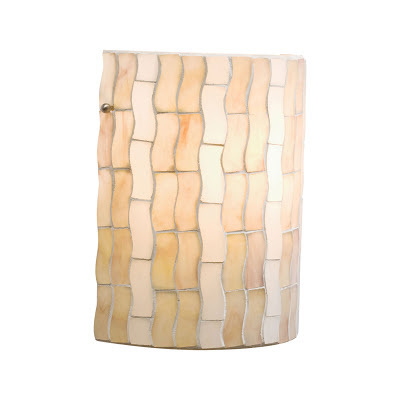 Our style of the house is generally simple Scandinavian modern. At least, that's what we think. 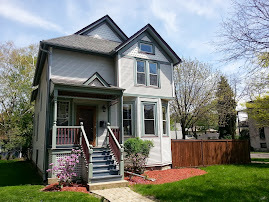 It's been a very active and competitive single family home market this year in Lakeview. Our clients are exclusively in multiple offers on the homes they want to purchase. Inventory for nicely renovated three bedroom (or more) homes is low in terms of buyer demand. Let's take a look at some interesting sales numbers. I spotted this rare (and gorgeous) East Lakeview single family home among the many multi-unit buildings on the 2800 block of North Cambridge. 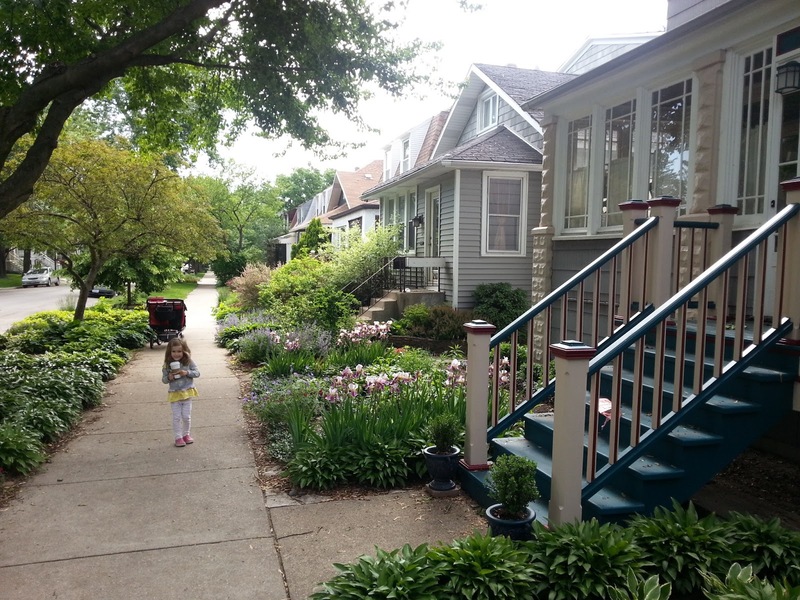 It's not for sale, but the good market has prompted more vintage East Lakeview homeowners to sell than in past years. 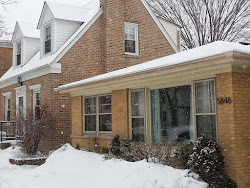 67 Lakeview single family homes closed (sold) in just over the half-way point for the year. Almost half of those houses (32 homes) sold over $1 million dollars. The median price for a Lakeview house at this time is about $970,000. 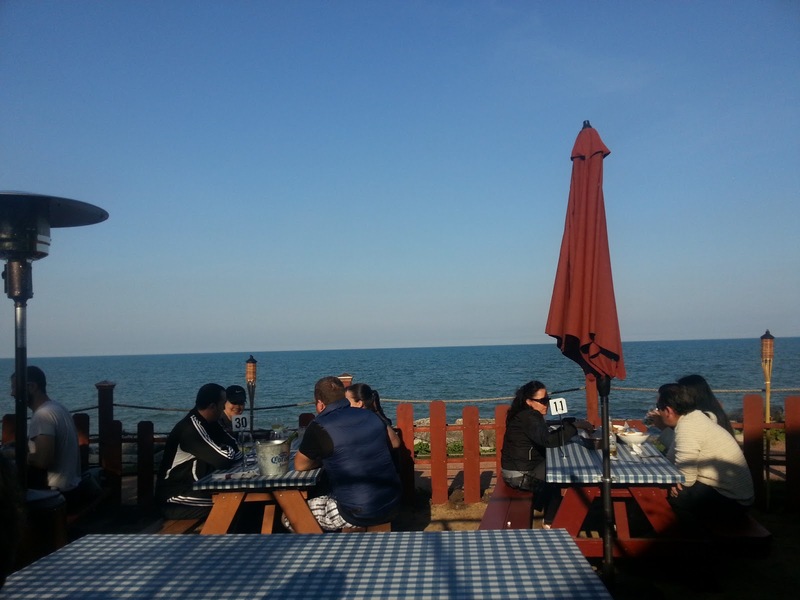 Lakeview single family homes sales are up 21% over sales during the same period in 2012. The median price is up about 12%. 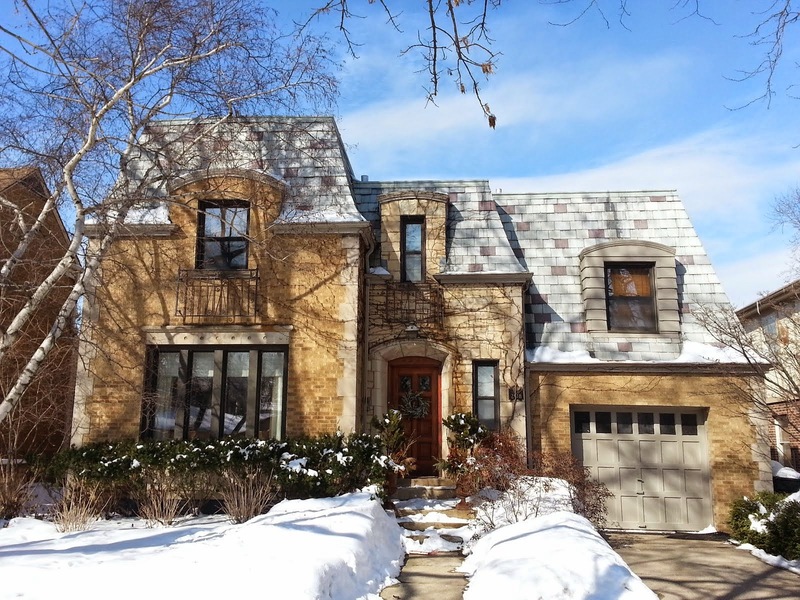 The highest Lakeview single family home sale was 3830 N Wayne for $3,100,000. 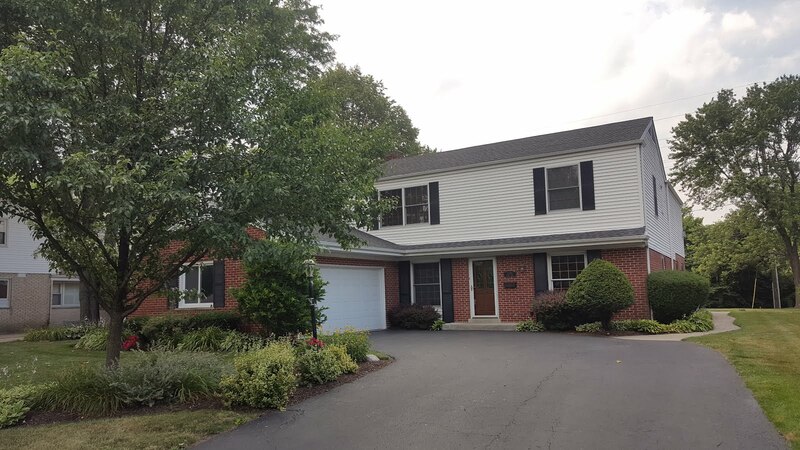 The 5 bedrooms 37' wide lot home was built in 2007 and featured an attached front entrance garage. 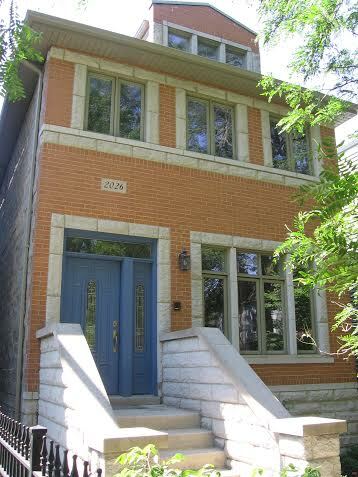 The lowest sale was 1756 W Fletcher for $371,000 cash (and $4,000 over the list price). 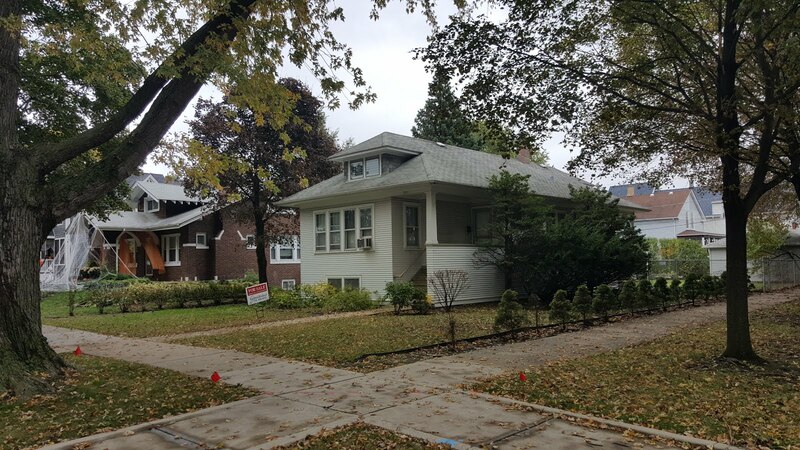 The small bungalow on a standard city lot was a foreclosure sale and will most likely be torn down for new construction. 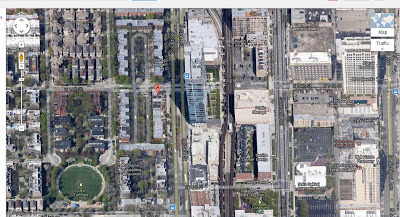 Pretty nice deal for that location regardless of some train noise from the Metra tracks. 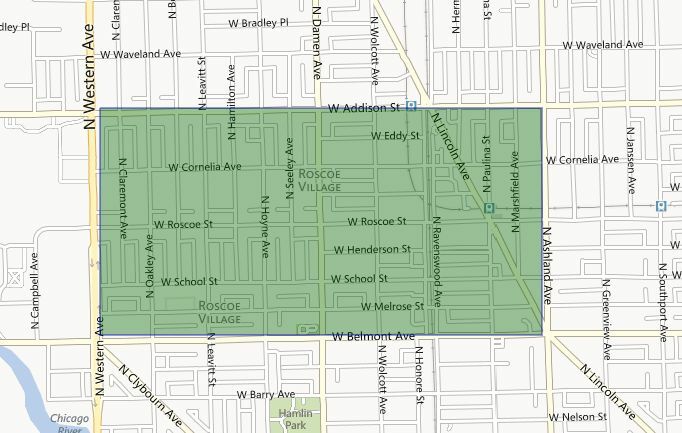 8 of the 67 houses sold were listed as either foreclosure (bank owned, REO) or short sale. 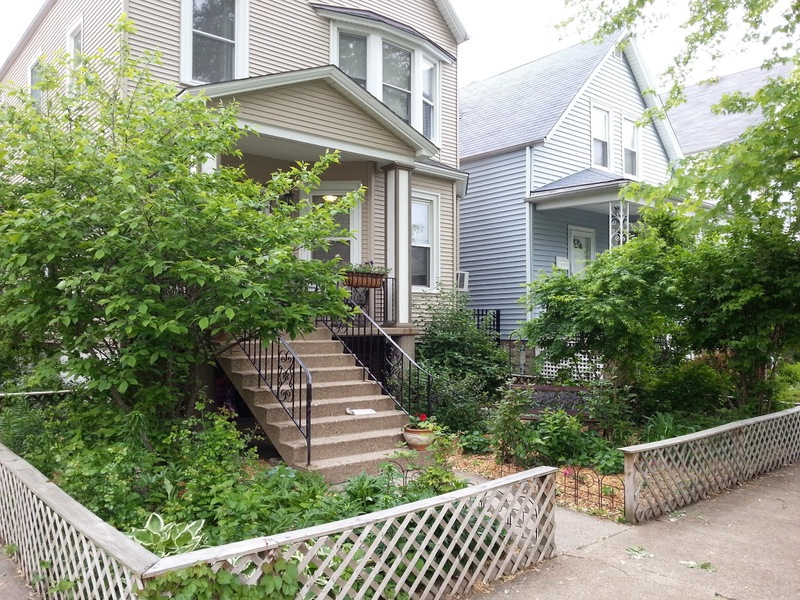 There are currently 49 single family homes under contract in Lakeview. The median asking price of the contracted homes is about $1,175,000. 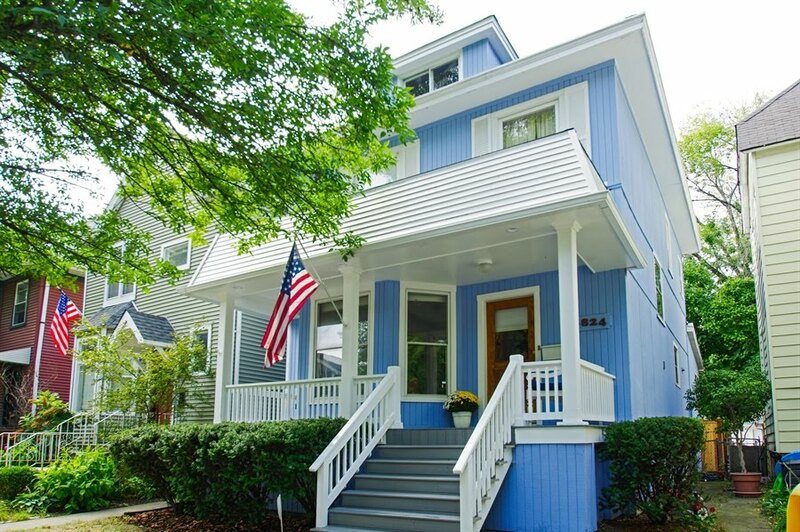 This could push the median price of house for the year in the Lakeview Community Area to over $1 million. There are only 38 actively listed houses for sale (at time of this post). Of those, 25 homes are priced over $1 million. All stats gathered from MREDLLC.com (our member MLS) and analyzed/ interpreted by Eric Rojas, Real Estate Broker. Stats are as accurate as possible and best used as a guide to market activity. 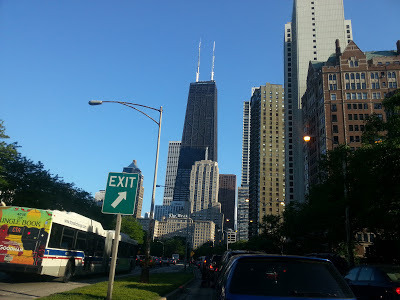 The views exiting onto North Michigan Avenue and the Mag Mile never get old (and I had plenty of time on the ramp to take them in). I parked easily at a meter near the 900/910 Mies building on East Delaware and the lake ($7.00). Met the wife at an old standby. 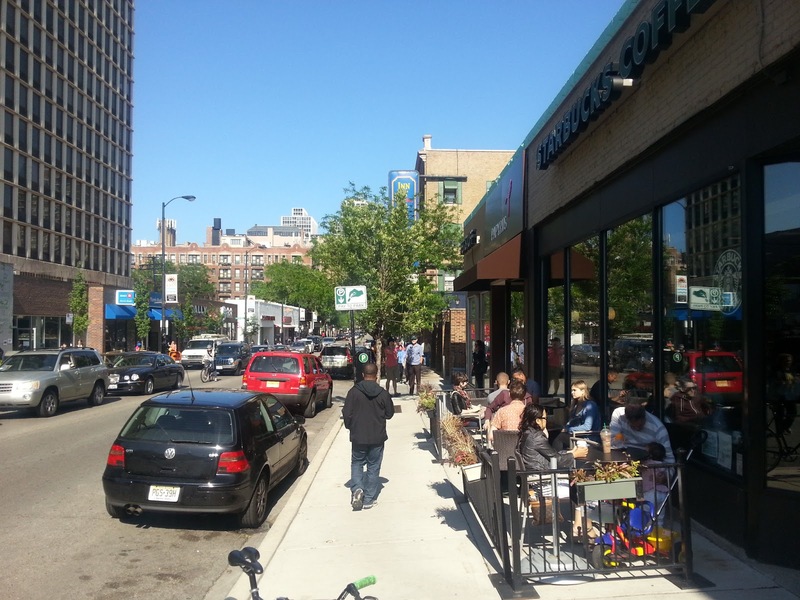 We've been spending a lot more time lately in East Lakeview with our condo buyers. The market has improved, so both buyers and sellers are feeling a little more confident and, well... buying and selling more. One of our favorite spots in the city to hang out and look for condos is the area along West Diversey between Broadway and Sheridan Road near the lake. A familiar sign along Diversey Parkway, The Market Place Food Store hangs on amongst the nearby Trader Joe's and Walmart market. Large vintage apartment buildings (like this one on West Surf) have been home to generations of young professionals, families, dreamers, hipsters and eclectics in the bustling lakefront neighborhood. 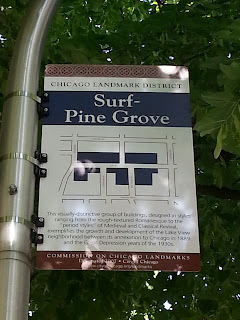 I remember visiting my older cousins on West Surf when I was a kid. I thought they were the coolest! 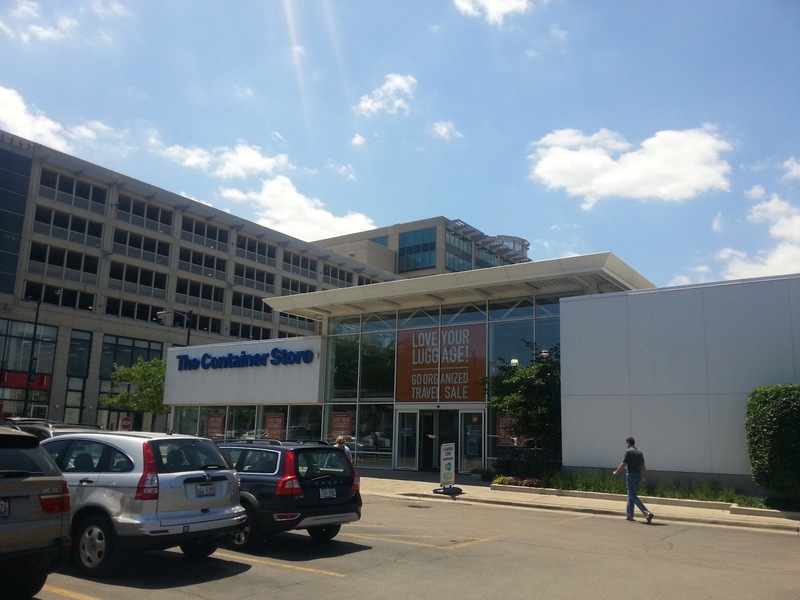 There are some good condo building options along North Cambridge near West Diversey Parkway. Updated two bedroom, one bath units start in the $250,000s (with assessment in the $300s) and go up quickly from there (all photos Eric Rojas). 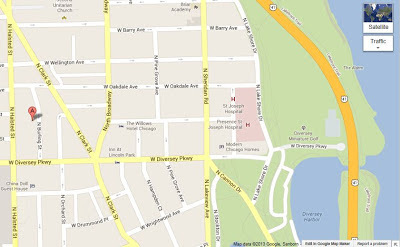 The busy West Diversey Parkway strip west of Broadway and near the lake is a great place to live if you are looking for hustle, bustle, the lake, bars, shops and people! And of course all the action leads straight east to Diversey Harbor. See you in the hood! Even our 3 1/2 year old Amalia can appreciate the curb appeal of these painted porch steps and planted parkways in Bowmanville. She made me take a picture on our walk home from Dominick's. 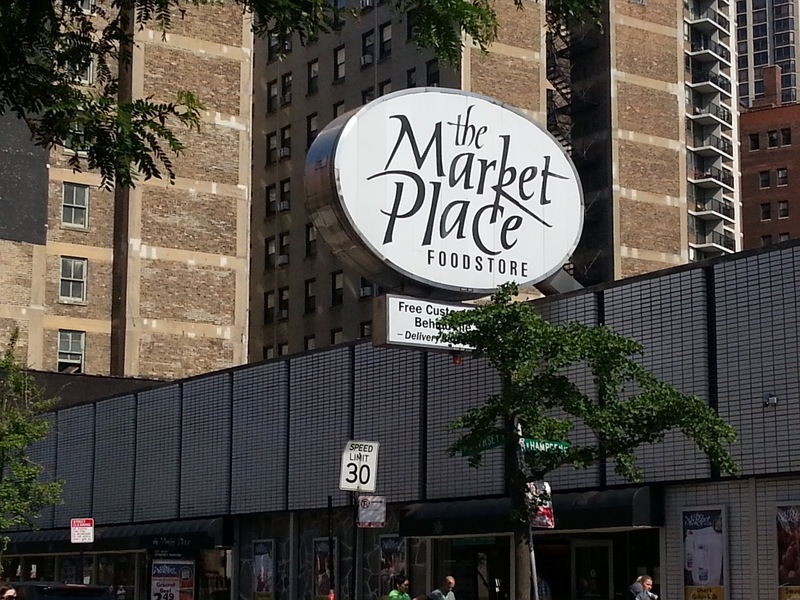 Rent a new apartment here in East Village/ Wicker Park and "Eat Great, Even Late!" 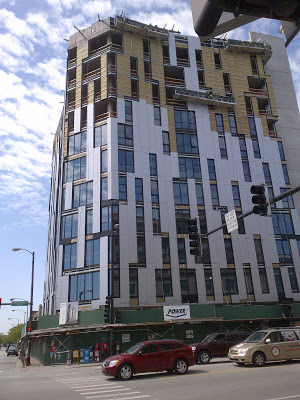 You can read coverage of the new mixed commercial and rental apartment building at 1611 W Division at Curbed and Yo Chicago. 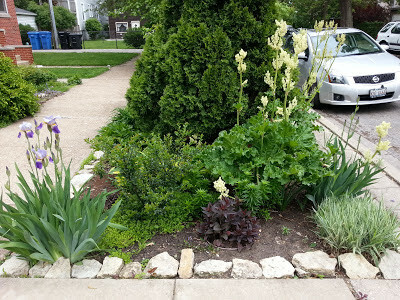 Here's a couple photos of the construction taken by Bob while doing business in the neighborhood today. A "good" condo is a subjective thing. But one thing we do well is know when a listed condo will sell quickly. How? As a wise person once said, "It is what it is". This does not mean it's THE condo for YOU, it just means we have a good sense in a given market what will sell and at what price. 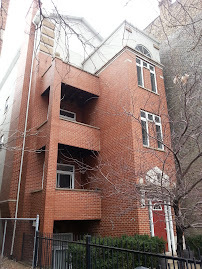 We saw this two beds, two baths Lakeview condo with garage parking last weekend. 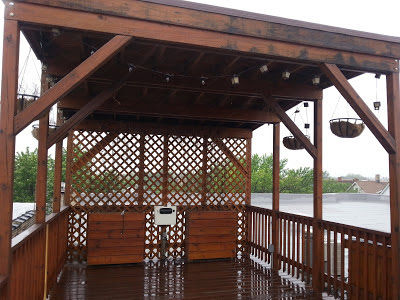 $349,000 asking with this roof top cabana to boot. And the good condo market is wicked fierce in our most active markets of Lincoln Square, Lakeview, Lincoln Park, North Center and South Loop. Here's a look at Lakeview's condo sales for the first half of 2013. From January 1st to May 31st of 2013 of this year 688 Lakeview condo units have sold. That's up 33% from the 514 that sold same period in 2012...a good year in its own right. 216 condos closed in May 2013 alone. What sold? Here's a breakdown including attached townhouse units. 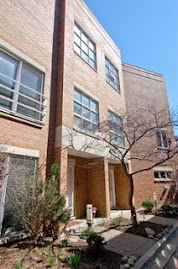 325 two bedroom condos sold with median price of about $335,000. Two bedroom condos can vary greatly with one, two or two and one-half baths. 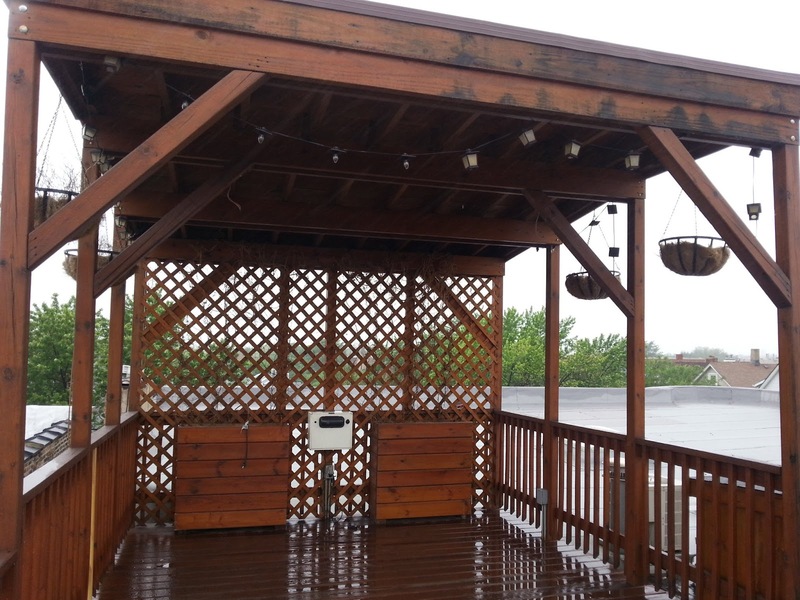 They also vary greatly in parking availability and outdoor space. 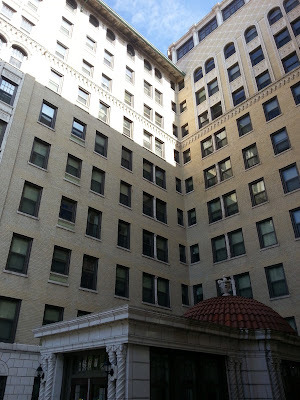 179 three bedroom condos sold with a median price of about $475,000. 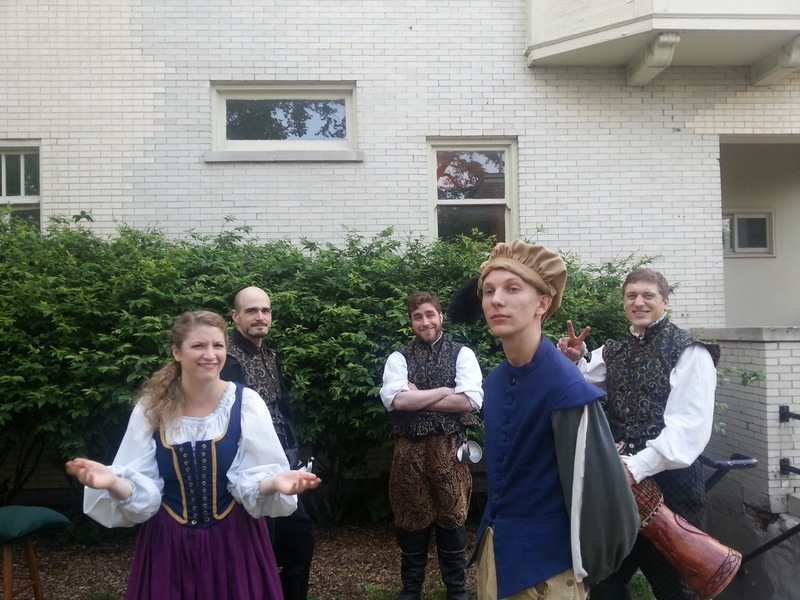 Of course, styles and features vary greatly. 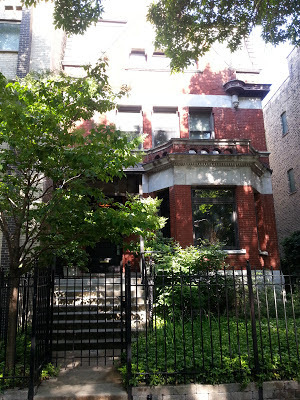 Only 29 Lakeview condos with at least 4 or more bedrooms sold with a median price of $651,000. 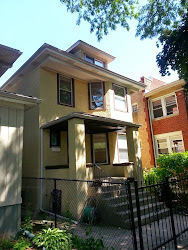 We sold one of them at 416 W Briar Place. This looks like another contemporary, or modern, new build on the 2600 block of West Winona in Ravenswood/ Lincoln Square. 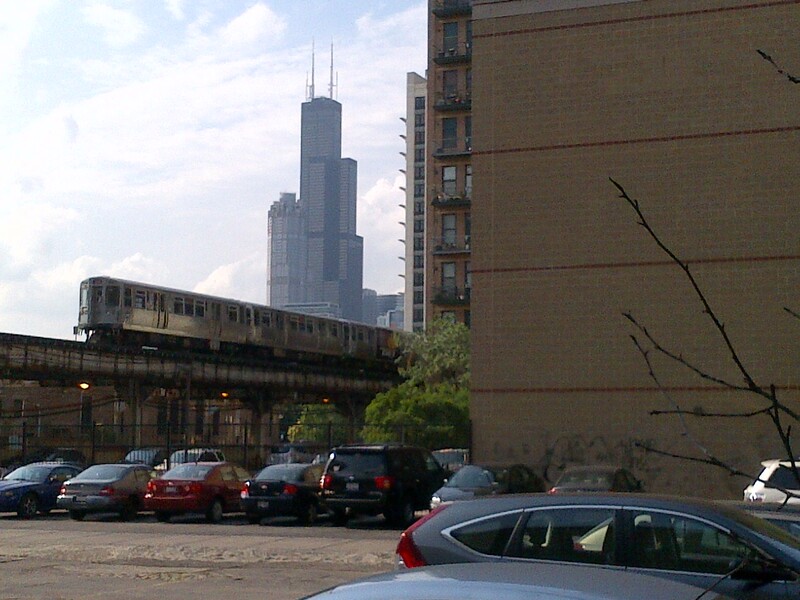 I took this shot late last week on my run over to the Northeastern Illinois University gym. 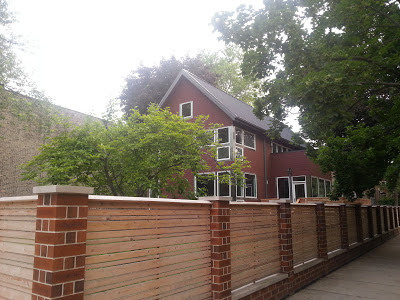 We've mentioned in the past that these couple blocks of Winona (just west of Western Avenue in Lincoln Square) are dotted with contemporary and modern new houses. There are a handful traditional looking new construction houses as well. The east-west blocks just east of Western Avenue (Winona, Carmen, Winnemac, Argyle, Ainslie etc) have very few new construction homes in comparison. This modern home at 2540 W Winona with lower level garage just closed for $695,000 this year. Land prices can be good in these "just off the path" locations. This location is near great amenities such as "downtown" Lincoln Square just to the south and lots of practical stores (Dominicks, Home Depot etc) and highway access just to the north. 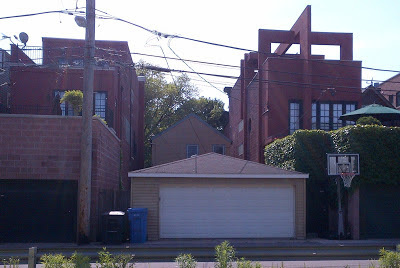 Sometimes we can find little blocks of opportunity to build new and/or modern. 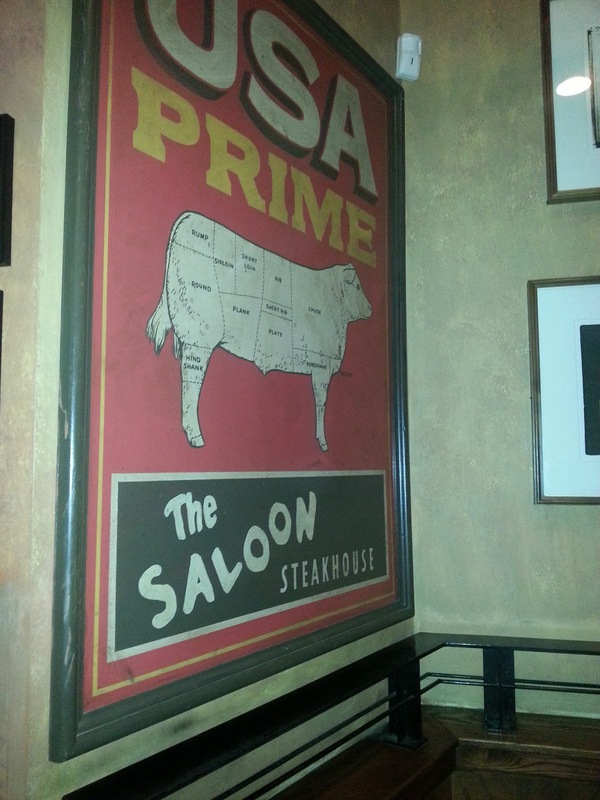 We can't get get away from this place! Most homeowners I know that live in and around Lincoln Park sooner or later get sucked into this familiar shopping mecca of "mini" big box stores along Clybourn and North Avenue. We're no different. Our recent master bedroom renovation had us in "need" of more closet stuff to retrofit our sprawling collection of Elfa shelving. So, we head hat in hand to The Container Store in Lincoln Park. After seeing the results in our closet... it hurts so good! I just applied for a $550.00 rebate on my newly installed 95% energy efficient furnace and thermostat. It's called the Residential Prescriptive Rebate Program. 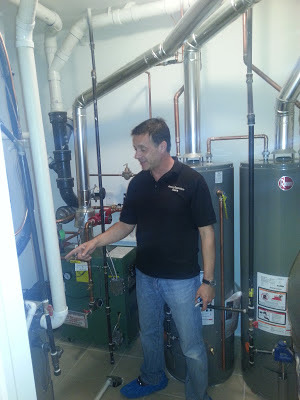 If you have had HVAC equipment installed in your home recently (furnaces, air conditioners, programmable thermostats), visit the Peoples Gas site now! 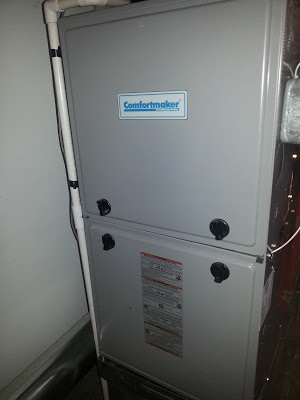 My HVAC technician tells me we have until June 15th, 2013 to get the application in for this rebate program. Check with all your particular utility companies for available rebates! 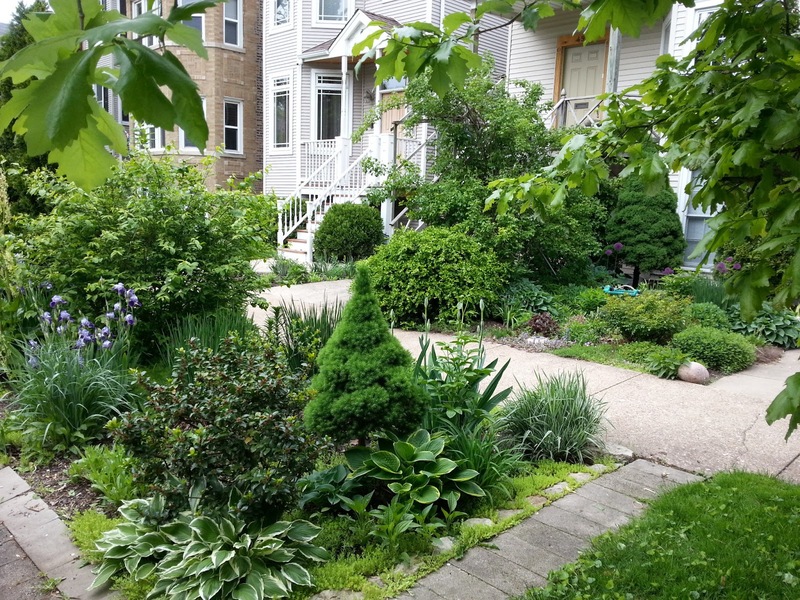 The sleepy 4900 block of North Bell in Ravenswood has a few inspiring landscapes. In Chicago, you own your little plot of land up to the parkway (the parkway is the area between the sidewalk and street). The City owns the parkway but the homeowner generally cares for it and sometimes enhances it. Remember to thank your neighbors for these beautiful parkways and front yards when you have the chance! 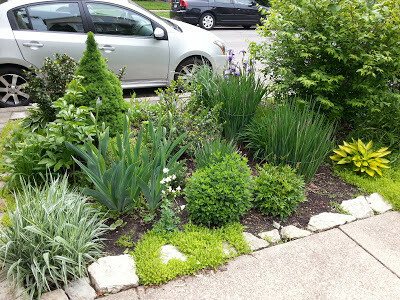 I took note of the many grasses and shrubs for my back yard planting beds surrounding our patio. It made my shopping easy! Here's a couple more landscaped setbacks along the street. 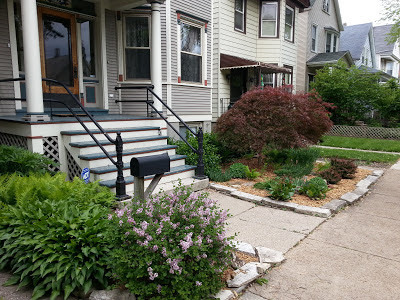 When several neighbors enhance their front yards and parkways, it completely improves the aesthetic and desirability of the block.